We made history this week on Monday 12th November 2018, we had the first ever Shopify Plus Conference in Dubai, an exclusive invite-only event for high-growth luxury UAE and Middle Eastern located brands. 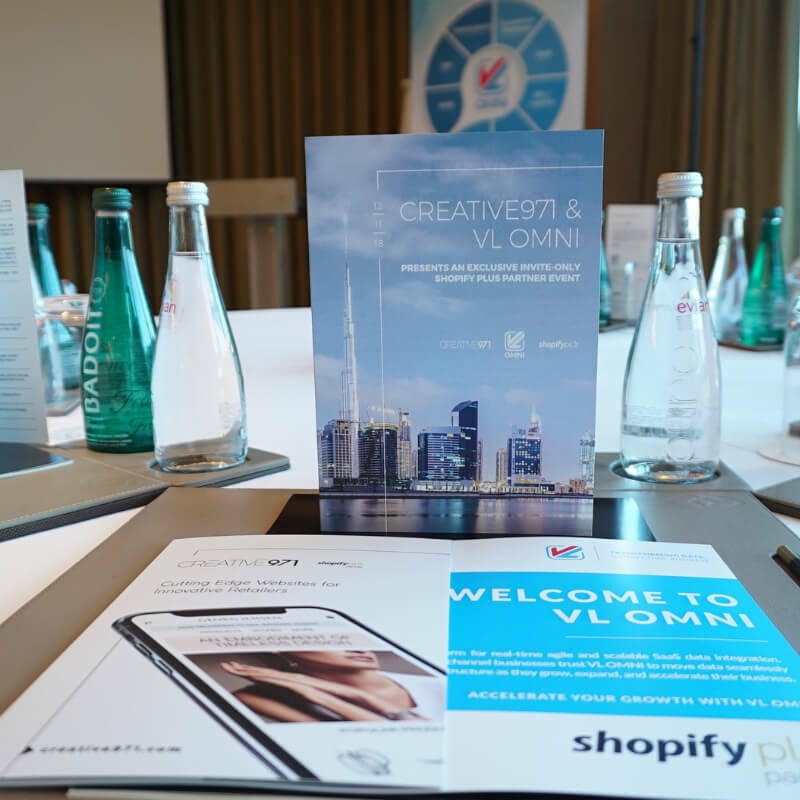 Hosted in Dubai’s business Hotel Sofitel Dubai Downtown, our “Retail Enterprise E-Commerce Success With Shopify Plus” event brought together by Shopify Plus, and Plus Partners Creative 971 and VL Omni. Starting the event with the opening speech by Her Excellency Marcy Grossman, Consul General of Canada to Dubai and the Northern Emirates to welcome attendees, the thought leadership portion of the event officially kicked off with the presentation from Shopify Plus. Invitees were treated to a first-hand recounting of the exciting announcements from Shopify Unite held in Toronto, Canada earlier this year, and to review tactical strategies, new features, and much more. Following a brief networking break, Creative971 took the stage to shed light on the Middle Eastern E-Commerce Market and opportunities of the Omni-Channel E-Commerce approach in retail. Creative971 shared cutting-edge insights on statistics and E-Commerce strategies that are essential to know for top retailers in the MENA region. Dovetailing excellently into the talk given by VL Omni on data integration, automation, and the intersection of customer experience with E-Commerce design and cutting-edge data integration trends, the audience was literally on the edge of their seats for the duration of the event. In conversations and questions following the presentations, it was clear that this was the content the room full of merchants wanted — and needed. To Summarize, this was a fantastic event filled with networking and honest, open conversations. As Creative971 we are very proud to have this successful event held together with Shopify Plus & VL Omni. We thank everyone who made it happen and we continue to work on providing valuable content and events around E-Commerce, Omni Channel and Shopify Plus.